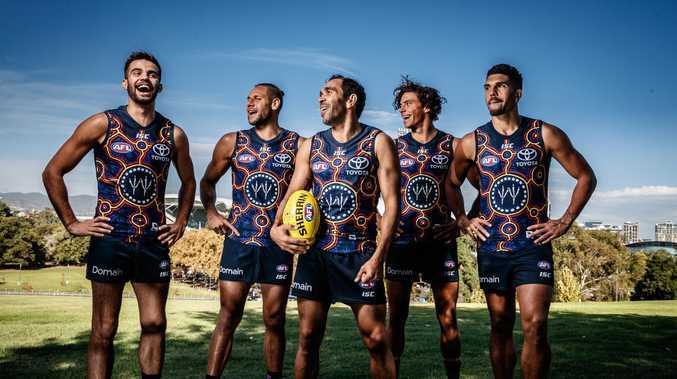 Indigenous Crows players Wayne Milera, Cam Ellis-Yolmen, Eddie Betts, Ben Davis and Curtly Hampton wearing the Crows 2018 Indigenous guernsey. Picture: MATT TURNER. ADELAIDE star Eddie Betts has revealed both he and Curtly Hampton had struggled with motivation as early as this pre-season, which was marred by the controversial training camp on the Gold Coast. Betts - who regained his passion for the game through his children - had talked to Hampton regularly about his lack of drive and desire to leave the game and said it had been a sad day when he witnessed Hampton tell his teammates of his retirement at the age of just 25. "We've spoken about that since the start of the year, since pre-season," Betts said. "We're just trying to find the joy for footy. 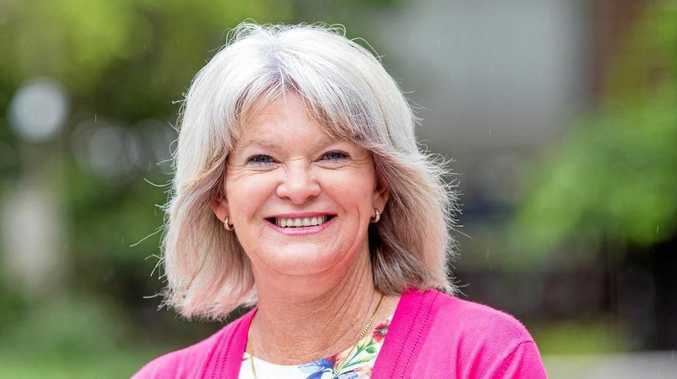 "I was in the same boat, trying to find that joy and bring the love back to the game and Curtly was in that same boat, where the passion and joy for AFL footy wasn't there anymore. "And as he got older, there was stuff outside of footy that he had to prioritise for Curtly in his life right now. "I'm here as a friend and a brother to support him in whatever decision he's made and he's still going to be a big part in my life outside of footy. "Yesterday was probably one of the hardest things to do as an AFL player. "To get up in front of your teammates, your coaches, your close friends to say that you're going to give the game away - the game you grew up loving. "It was kind of emotional when he got up and spoke." Betts regained his mojo through his family. He has the initials of his football-mad sons and his twin daughters on his wrist as he goes out to play and looks at them if he needs and extra burst of motivation. "For me, I've found a reason to play footy and enjoy and that's my kids and family," Betts told FIVEaa. "Every time I go out on the track I've got on my hands my kids' initials. "When I'm going into a different state I just look at my wrist and it's got my kids' initials there and that just brings me back." The Crows have recognised the club's indigenous players were upset by the pre-season camp, run by Collective Mind, and have since cut ties with the mental training group. Coach Don Pyke said the pre-season training camp had nothing to do with Hampton's decision.